Because you never know when there will be an emergency situation, it’s wise to always be prepared. Keeping the Grab ‘n Go 3-day, 2-person backpack on hand at home, at school, or at the office can help you avoid being caught without necessary supplies. 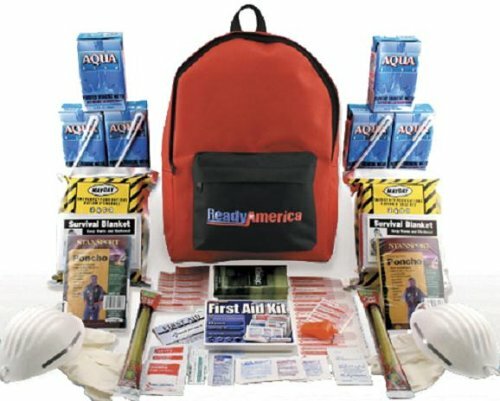 Each kit contains enough emergency supplies to sustain two people for three days. 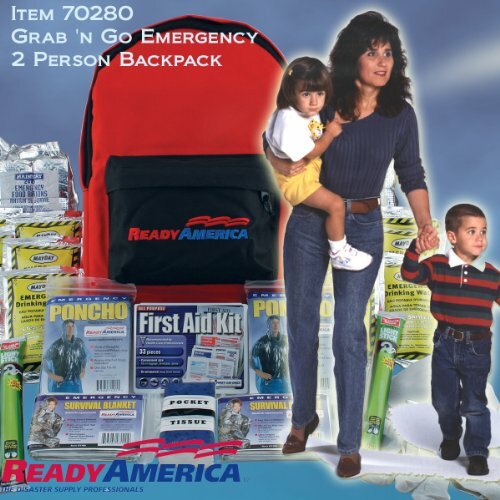 The three basic essentials, as recommended by the American Red Cross—food, water, and emergency blankets for shelter and warmth—are included in every handy backpack.